Experts from Historic England believe the wreck that lies buried in mud in the River Hamble near Southampton, is the Holigost (Holy Ghost). The Holigost was a major part of Henry V’s war machine, playing a key role in the two battles that broke French naval power and enabled Henry to conquer France in the early 15th century. It was rebuilt from a large Spanish ship called the Santa Clara that was captured in late 1413 or early 1414, then acquired by the English Crown. 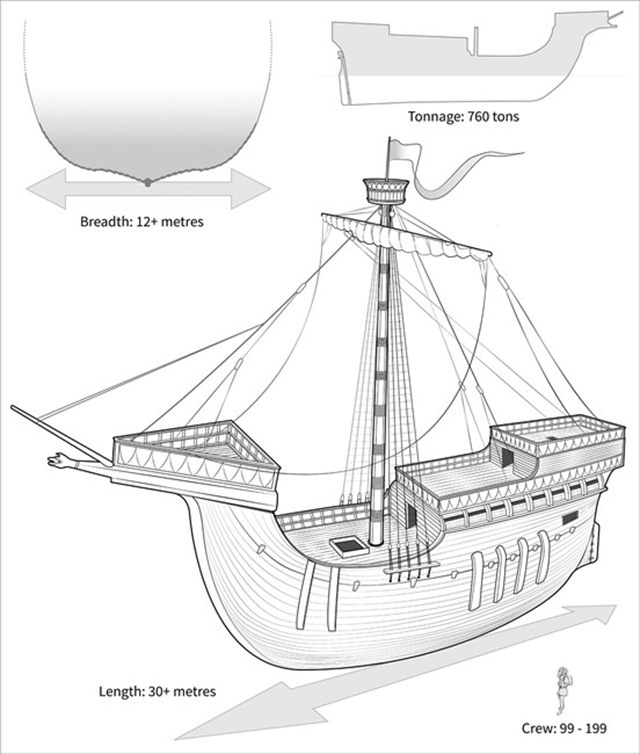 The name of the ship is derived from Henry V’s personal devotion to the Holy Trinity.